Butterfly weed, or Asclepias spp. areNorth American natives that attract a bounty of butterflies to your garden. They are a major food source for the monarch butterfly. 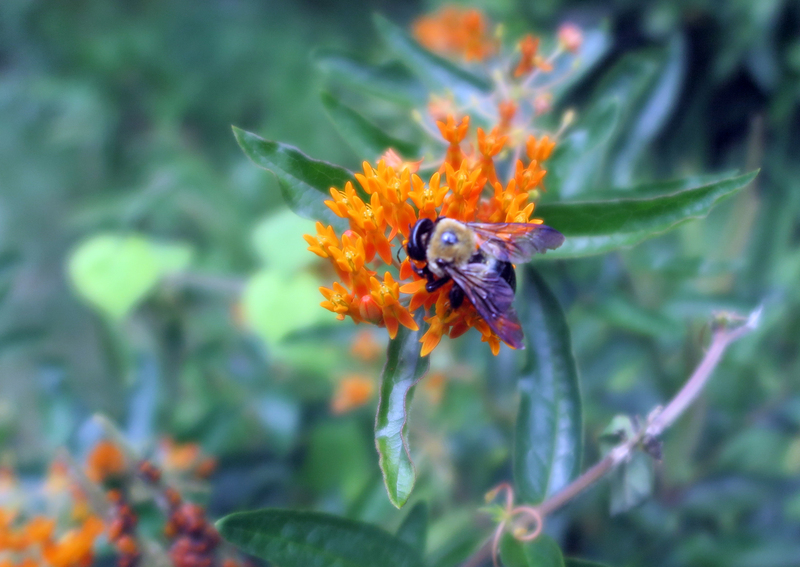 Butterfly weed prefers full sun and well-drained soil. It tolerates drought once established but enjoys some moisture in an extended drought. Deadhead to encourage a second blooming. Butterfly weed is slow to start in spring. To avoid inadvertently digging it up, place a marker beside each plant in fall. The deep taproot makes division very difficult. To propagate, use the seedlings that sprout up around the base of the plant. Use butterfly weed in mixed perennial beds, on dry banks, in neglected areas and in wildflower, cottage and butterfly gardens. A. curassavica (tropical butterfly weed) is an evergreen subshrub that is often grown as an annual. It bears red or orange-red flowers, sometimes yellow or white, with tinges of yellowy orange. The foliage is proportionate to the size of the flower clusters and is smooth in texture. It grows 24–48" tall and spreads 18–24". Annual in cooler climates. A. tuberosa forms a clump of upright, leafy stems. It bears clusters of vivid orange flowers from midsummer to early fall. A variety of cultivars offer solid or bicolored flowers in shades of scarlet, gold, orange or pink. It grows 12–30" tall and spreads 12–18". Perennial. Note: Be careful not to pick off or destroy the green-and-black-striped caterpillars that feed on butterfly weed—they will become beautiful monarch butterflies.